With PDF / A Level 3 it is now possible to embed any files and documents in the PDF / A. This can be combined for archiving a PDF / A file for searching, viewing and printing the original digital file. The embedded files can be extracted from the PDF at any time. 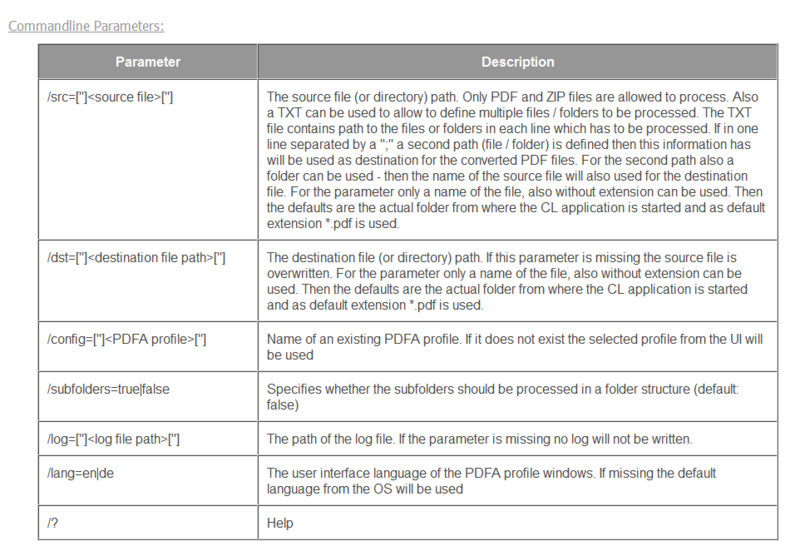 PDF2PDFA-CS-CL – is a free additional application for the PDF2PDFA-CS PDF to PDFA conversion service to convert PDF’s to PDF/A-1b, 2b, 3b as well as to the ZUGFeRD format. 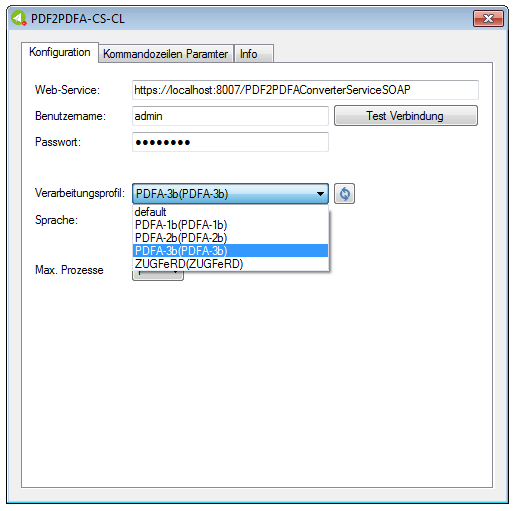 The functions are fully in line with the PDF2PDFA-CL application, however the processing is not “local” but “remote” via HTTPS via the SOAP web service interface on a PDF2PDFA-CS PDF to PDFA server. 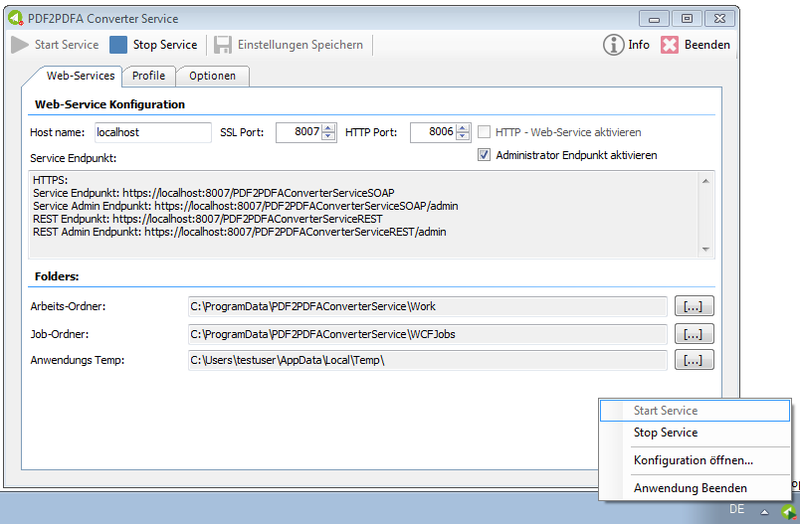 The PDF2PDFA-CS Converter Service installed as MS-Windows service converts existing PDF files via the REST or SOAP web service interface into the PDF/A-1b, 2b, 3b and ZUGFeRD format standardized for long-term archiving. 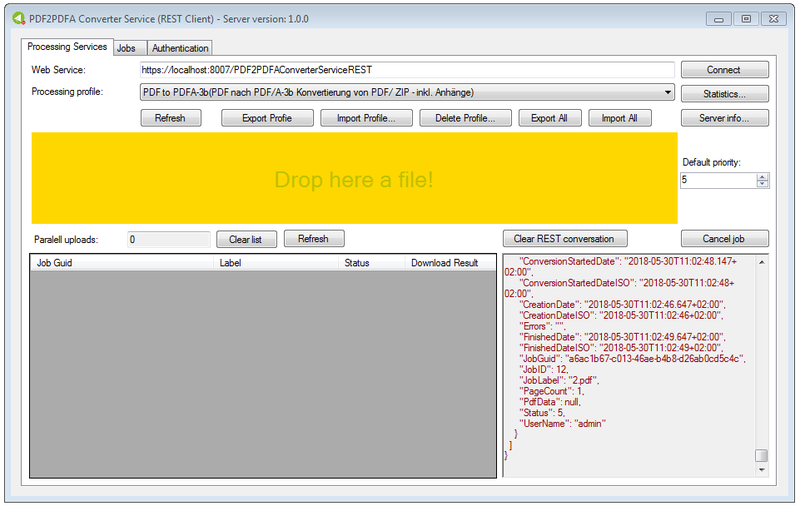 The processing is based on our .NET – PDF to PDFA converter component. Converts PDF to PDF/A-1b, 2b, 3b and ZUGFeRD formats. Logging of all events. As well as the cause, if a direct PDF/A conversion is not possible. PDF/A Image conversion – if direct PDF/A conversion is not possible. Embed external files as PDF attachments (PDF/A-3b and ZUGFeRD) via ZIP input file. 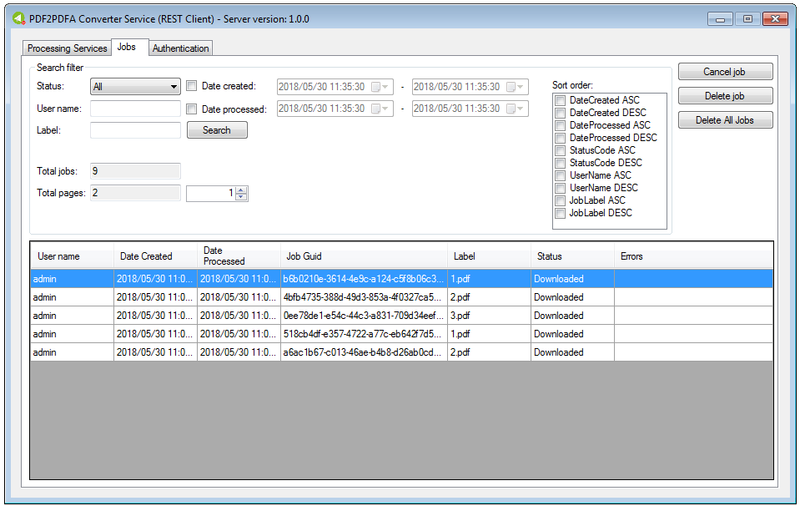 .NET C # Sample and test clients for REST and SOAP incl. VisualStudio projects included in the source code. Client applications for hotfolder and command line processing as well as free add-ons for the PDF2PDFA-CS server available. Create several printers – With the “eDocPrintPro Tool”, additional additional printers with any names can be created. When the first additional printer was created, a new printer monitor application was created and started automatically. This additional printer monitor, however, has 100% loaded the computer until the restart. Only a second additional printer could be created and no more. The other printers were created, but the required monitor application was not automatically started and not entered in the registry. Thus these printers were present in the printer list, but could not be used because no output file was created or the save under dialog was not high. 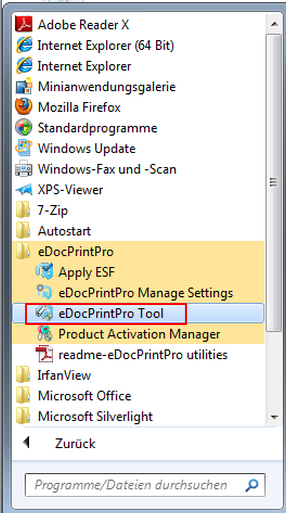 Additional printers can be created with any names and settings – The program “eDocPrintPro Tool” must be used to create this printer. For each additionally created printer a <print name> Monitor.exe is created, started and entered in the registry under “RUN”. If no PDF file is created for one of the created printers or if there is no “Save as” dialog, check whether the xxxMonitor.exe is present and started, or if the start has been entered correctly under the RUN key in the registry. 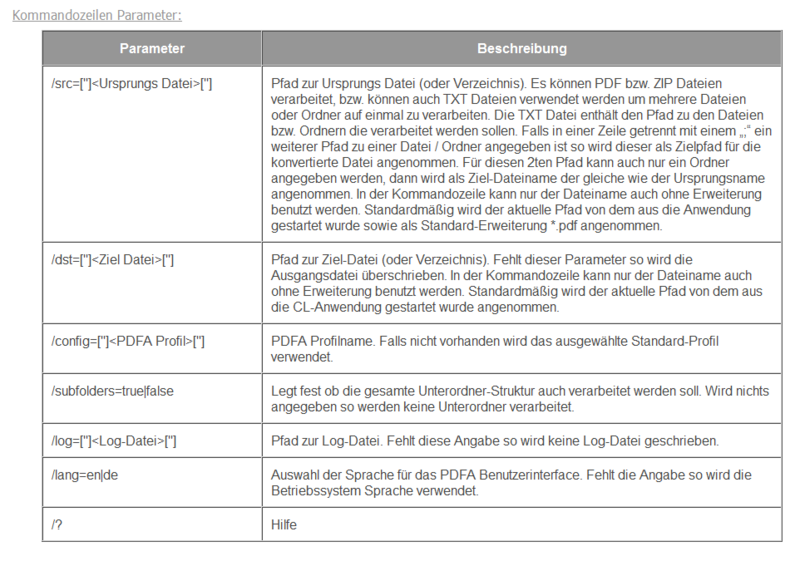 The routines for the generation of PDF / A-1b, 2b, 3b and ZUGFeRD formats have been completely re-implemented. In addition to ZUGFeRD XML, other files can also be embedded in the ZUGFeRD PDF. Only with ZUGFeRD option. New version of the eDocPrintPro SDK 3.25 available to use the extensions from your own applications. 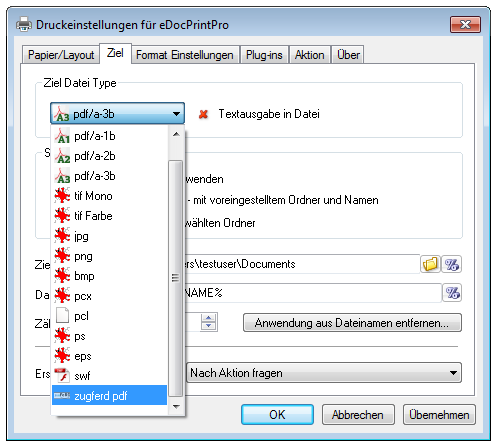 All plugins available for the eDocPrintPro can now also be used with the PDF/A & ZUGFeRD variant. 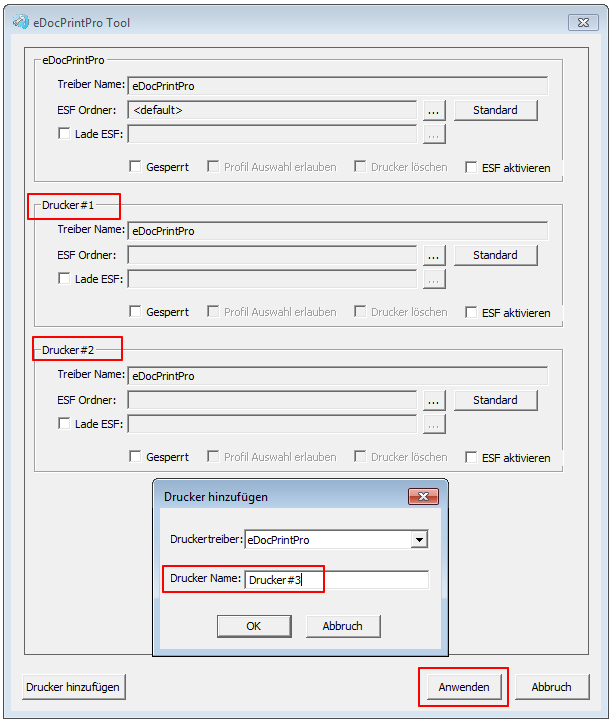 Depending on the plugin, it may be necessary to perform the action before the PDF/A or ZUGFERD processing. In order to apply a stamp or to deposit a stationery and only then to carry out the PDF/A and TRUE conversion as otherwise the conformity would be destroyed. 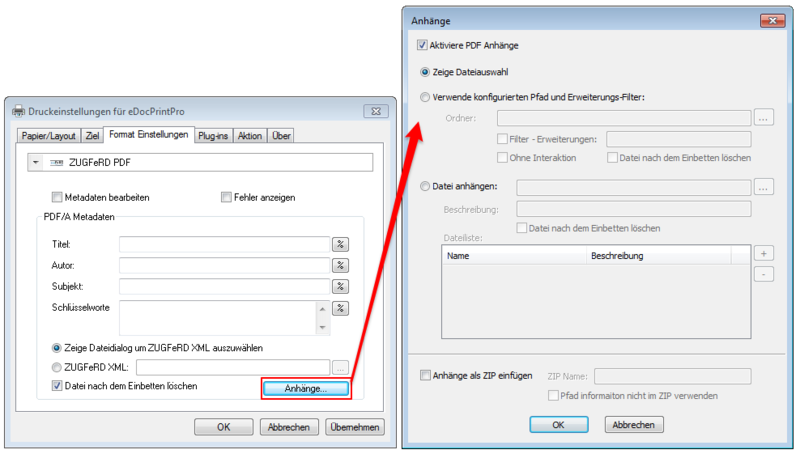 On the other hand there are plugin actions, which can only be done after the PDF/A or ZUGFeRD conversion. Create a signature or send the created PDF file by e-mail. In order to control this, the INI file of the plugin provides the possibility to determine when (PRE, POST, LAST) the plugin action is to be executed. Process=PRE – The plugin is run before PostScript to PDF conversion. The plugin can be used to prepare folders or to insert commands into the Postscript code. 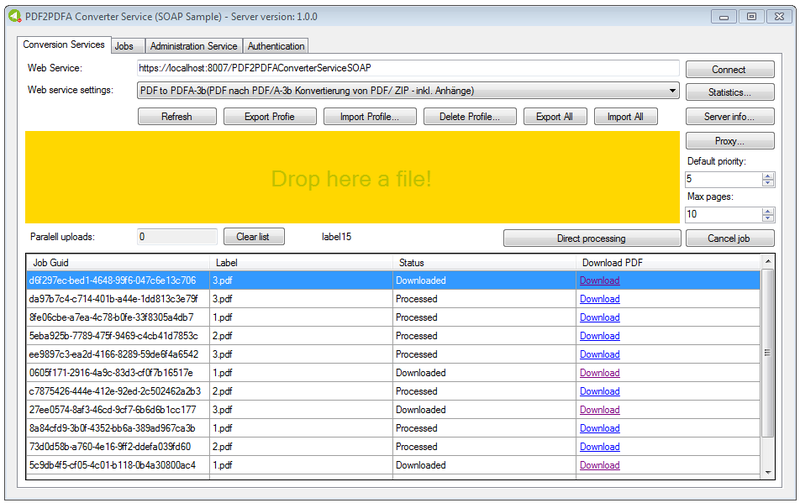 If no add-on postprocessing (SWF, PDF / A or ACCESSORY) is executed, POST and LAST have the same meaning. If the “Process” parameter is not specified, the default value is Process = POST. The INI files of the installed plugins can be found in C: \ Program Files \ Common Files \ MAYComputer \ eDocPrintPro \ Plugins. So far for PDF/A and ZUGFeRD two different products have been offered. With version 3.24.7 eDocPrintPro PDF/A printer driver both products have been combined into one. 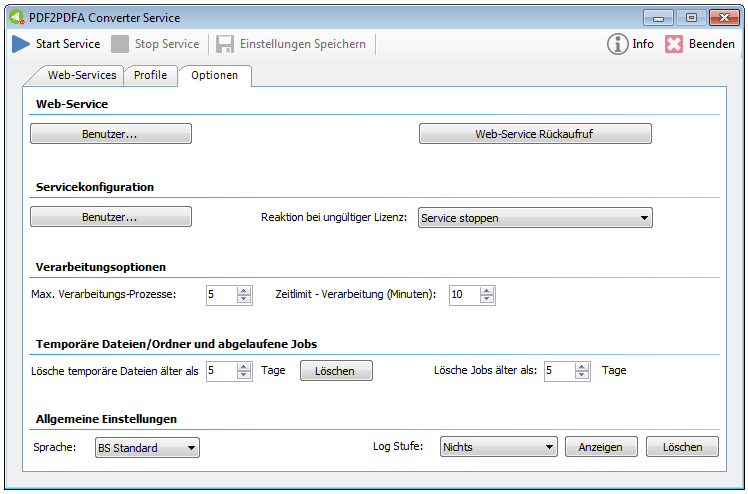 The great advantage – consequently possible to use all standard eDocPrintPro plugins for ZUGFeRD format. Each of the available formats PDF/A-1b, PDF/A-3b and ZUGFeRD can be individually licensed and activated. The setup creates a printer named “eDocPrintPro”. Any additional virtual printers can always be created with different names over an installed tool. Here other default settings are possible for each of these virtual printers.